DENVER (AP) — Democratic presidential candidate John Hickenlooper opposes the Green New Deal, saying the climate change proposal sets “unachievable goals” and shuns the private sector. The former Colorado governor announced his opposition to the resolution Tuesday, as Senate Republicans are forcing a vote on the proposal in hopes of turning it into a 2020 wedge issue. 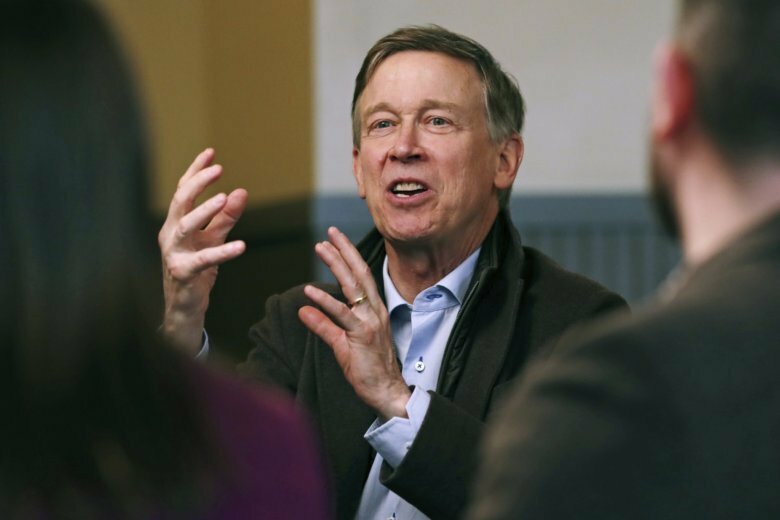 Hickenlooper is the first Democratic 2020 candidate to publicly oppose the plan, which calls for the U.S. to shift away from fossil fuels and replace them with renewable sources. He says the technology needed to achieve the proposal’s goals doesn’t exist and to develop it, government must work with private industry, not “shun” it.